"While it was sudden, during the conference that was held by SCE earlier today, they showed a trailer for the Persona series’ latest main numbered title, Persona 5. The setting is reversed from the previous title, as the title will depict the lives of youths living in a setting of a big city. I apologize for only being able to show so little, but it would make me happy to know that you all have been able to get a glimpse of the game’s atmosphere. Persona 5 was announced last year, and in addition to the release for PlayStation 3, we’re currently developing a PlayStation 4 version to release simultaneously in 2015. Furthermore, it’s very regretful that we’ll keep you guys waiting (I’m sorry ; ;), but I believe we’ll have a great game that will remain in your hearts." "Set in a high school kind of setting, players will be entering a world where social problems and hardships of today are being discussed and features characters that are being held back by the rules set by society. Being a “slave” in sense, trials should be overcome by players that "are bored and discontent with their lives" and set out in a quest for freedom from the certain appalling state they are currently in. 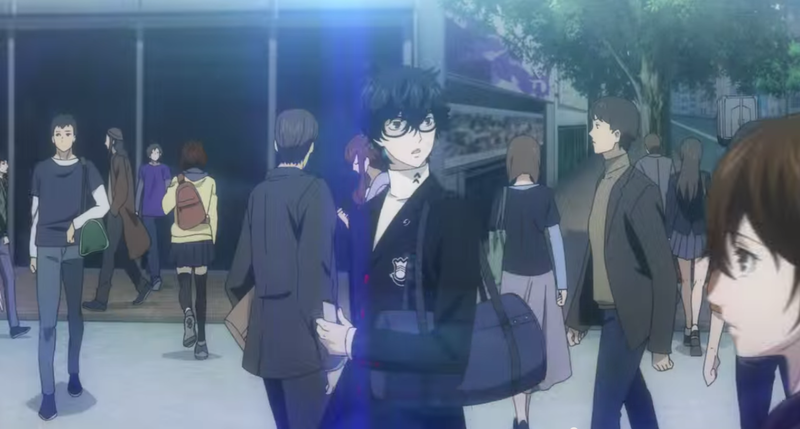 Though offering fresh kind of concept, Persona 5 has made sure to offer a familiar sense of atmosphere for long-time fans of the series and an interesting twist for new players that will altogether spell out one of a kind gaming experience." What will you be naming your P5 protagonist? Comment below or send a tweet to @JRPGJungle to start a discussion!